Loa was born on December 31, 1926 in Castlegate, Utah, to Almon Lavanda Carroll and Minnie Josephine Henderson Carroll. She was the eighth child of 10 children. She moved with her family when she was a sophomore in high school to Marion, Utah and attended South Summit High School where she was a majorette with the high school band and secretary of the student body. She also met and fell in love with Jay Maxwell, star basketball player on the high school team and student body president. They were married March 15, 1943 and later sealed in the Salt Lake Temple. This was during World War II and Jay enlisted in the Navy. After their first daughter, Carol Ann, was born Loa bravely followed where Jay was stationed first in Oklahoma and then Jacksonville, Florida. When the war ended they moved to Salt Lake where Jay attended University of Utah Pharmacy School while Loa kept busy with their expanding family. Though married young Loa learned quickly and became a good cook and excellent seamstress as well as a loving wife and mother. Upon graduation from college they traveled the new Alcan Highway to Fairbanks, Alaska where they lived and worked until they moved to Salt Lake City, Utah and then to Paul in 1958. They opened Paul Drug to accommodate the northsiders and operated it until 1984, when they sold it to Richard Swensen. Loa was a lifelong member of the Church of Jesus Christ of Latter-day Saints and served in many capacities in Primary, Relief Society and Young Women. She was a faithful visiting teacher and loved visiting and caring for others. Her favorite calling was that of a teacher. She loved and taught many children and youth. 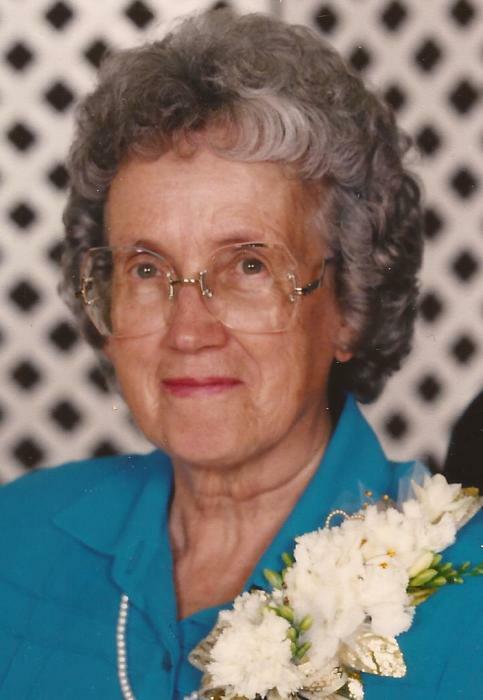 With her husband, Jay, she served two full-time missions and three six-month missions and continued that companionship after returning home by teaching the thirteen-year-old Sunday School class that they both loved. Loa loved supporting her kids and grandkids in their activities and ball games, packing up the car and traveling to different parts of the country to visit family and friends, and watching Utah Jazz games with her husband Jay, and sharing that excitement with close friends. Loa is survived by her children: Carol Ann (Rich) Blake, Riverdale, Utah, (Bud) Jay C. (Judy) Maxwell of Spokane, Wash., Connie (Alan) Williams of Rupert, Idaho, Alan (Martha) Maxwell of Rupert, Mary Jo (Lynn) Seamons of Corvallis, Montana, son-in-law, Kelly Arritt of Paul, Idaho, and Mike (Kris) Maxwell of Wausa, Nebraska; thirty-one grandchildren, 100 great-grandchildren, four great-great grandchildren; and brother, Lionel (Art) Carroll of Fairbanks, Alaska. She was preceded in death by her parents; a daughter, Kathy Arritt, one infant son, Jeffrey Scott Maxwell; a grandson, Matthew Blake; one great-grandson; brothers, Dowell, Ward, Jasper, Austin, Hubert (Teamon), and Elwood, and sisters Ella and Melba. There will be a viewing from 6:00 – 8:00 p.m. Friday, January 25, 2019 at Hansen Mortuary, Rupert, and from 10:00 – 10:45 a.m. Saturday, January 26, 2019 at the Emerson First Ward Building, 127 S. 950 W. in Paul. Funeral services will be held at 11:00 Saturday, January 26, 2019, also at the Emerson First Ward Building. The family wishes to thank all those who made Loa’s last days pleasant and comfortable, especially family members who live near, good friends and neighbors, and the special staff at Minidoka Memorial Hospice. Memorials may be made in Loa’s memory in the form of donations to the Humanitarian Fund or the charity of your choice. Services are under the direction of Joel Heward Hansen Mortuary. Condolences and memories can be shared with the family at hansen-mortuary.com.